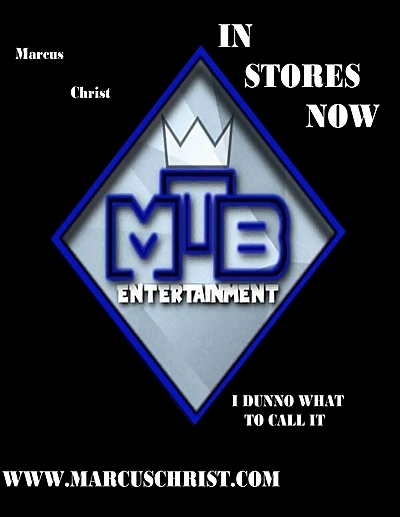 MtB Entertainment's Marcus Christ To Release New Single,"I Dunno What To Call It" For Commercial Distribution Worldwide! MtB Entertainment Announces The Release Of The New Single by Marcus Christ "I Dunno What To Call It" Will Be In Stores This Month. LOS ANGELES - April 3, 2018 - PRLog -- MTB Entertainment has recently released a video for the new upcoming single "I Dunno What To Call It" on YouTube. The video features scenes from children classical movies like "Peter Pan" and "Iron Man". Marcus Christ' art has been causing a lot of talk in California, America, and abroad. Marcus expects his new single to be popular, because it doesn't have any curse words so it is radio/kid friendly with a love story for females to relate to, and there's also action for men to consider. The commercial downloadable single will be available in stores this month primarily on Cdbaby.com. Marcus Christ is the musical prodigy known for blending different styles of music professionally and personally. His long awaited Prince of the Universe album has been delayed due to a "virus" Marcus Christ had which made it impossible for him to complete the recording for his album. He blamed his "heavy mucus" in his lungs and sinuses on the government, but he is unable to provide any credible evidence. Now MTB Entertainment suggests the delayed Prince of the Universe album may be more than two discs because of the unforeseen delays and setbacks. The new single has already been approved for distribution with MTB Entertainment's distributor CdBaby. The beat itself is produced by Adamack for Shadowville Productions on lease to MTB Entertainment. Written by the songwriter and artist Marcus Christ explains, "A couples' situation of being in love without having a true label is what this song is really hinting at. The video is more for entertainment purposes with "Peter Pan" and "Iron Man" as the main protagonist, but the song is a true statement I would probably make to a friend of mine. Sometimes love is just love, and there is no other label that will satisfy your relationship. I guess, love is expressed in action, and not in words only."